This picture shows a 1955 version. 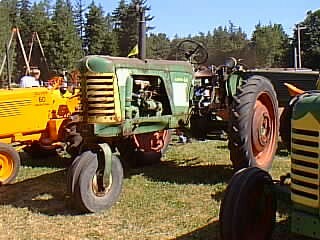 The tractor was produced from 1954 through 1958. It used the same four-cylinder engine and transmission as the Super 55 and sported the 3-point hitch, but also had the "Hydra-Lectric" hydraulic lift system. Standard-tread and row-crop version were available.